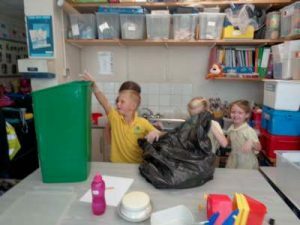 On Monday 2nd July, we showed you why plastic is not fantastic in our school assembly – see our video that we made! 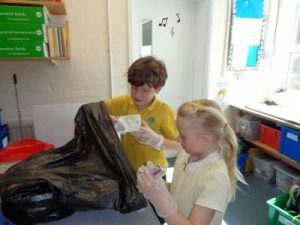 At lunchtime we collected 1200g of plastic waste! 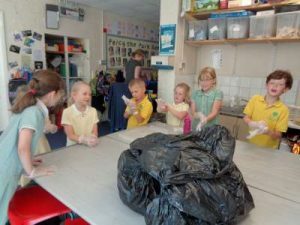 On Tuesday we asked everyone to try to avoid using plastic. 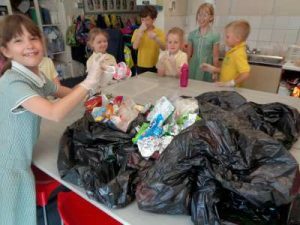 We managed to bring our plastic waste down to 800g. 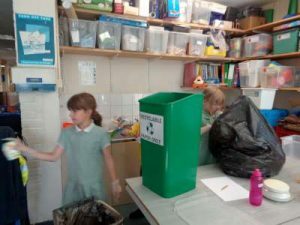 On Friday we sorted the plastic. It was a stinky job, we had to wear gloves!. We would like everyone to try to stop using single use plastic in school now! !